Manufacturers commend Kwara Govt for creating favourable economic climate – Royal Times of Nigeria. The Manufacturers Association of Nigeria (MAN) says the economic climate of Kwara was favourable for the growth of business enterprises. Mr Gbenga Adeola, the MAN’s Executive Secretary, Kwara and Kogi States branch, said this in an interview with the News Agency of Nigeria (NAN) on Tuesday in Ilorin. 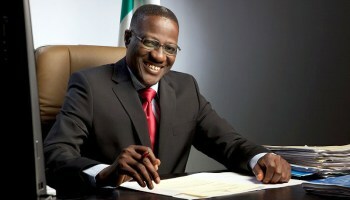 He commended the Kwara Government for creating an enabling environment for business activities to thrive in the state. According to him, the private investment drive in the manufacturing sector in Kwara is higher than many other states in the country. “The high rate of private investment in the manufacturing sectors in the state is more in proportion to other states of the federation. Adeola pointed out that only 15 per cent is of the manufacturing sector and it was government owned. The scribe noted that though the economic climate of Kwara was favourable for the growth of business enterprises, adding that entrepreneurs still encounter challenges. “If you look at the shares, investments and turnover in the manufacturing sector in the state so far, it has been largely dominated by the capitalists. “To measure the industrialised climate in Kwara, you must first look at the investment alongside the turnover, look at the value chain, look at the tariff system and the taxes, and then deduct the challenges. ‘“These are the sequence to the climatic position of any manufacturing sector,” he explained. Adeola said though the manufacturing atmosphere in Kwara was not bad, but not too good and can be improved. “The Kwara government has made the state business friendly for investors, as this has led to the influx of both local and foreigners into the manufacturing sector of the state. “This will in the long-run have lasting positive impact in growth and development of manufacturing sector in Kwara State, which could go a long way to bring about economic liberation of the entire state,” Adeola added. The scribe, however, lamented the bottlenecks encountered by entrepreneurs in the state to get Certificate of Occupancy in order to access loans and funds from commercial banks.